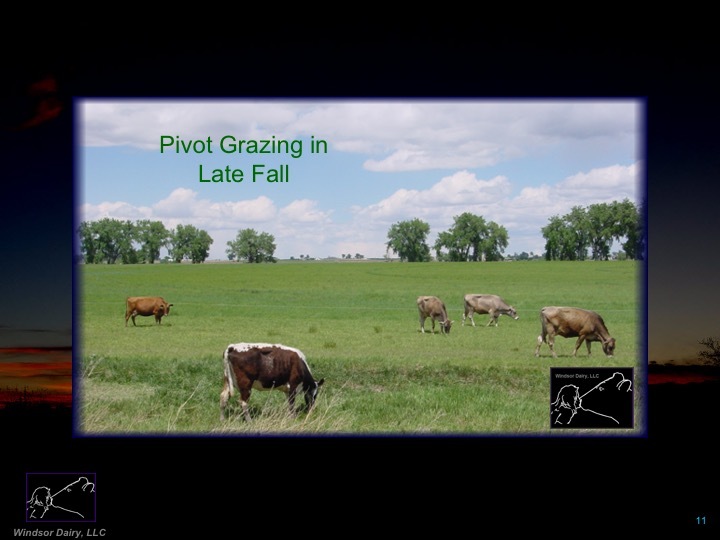 Click on the arrows to move the slides forward. Flavor, CLA, and omega-3. Most of all – FLAVOR! 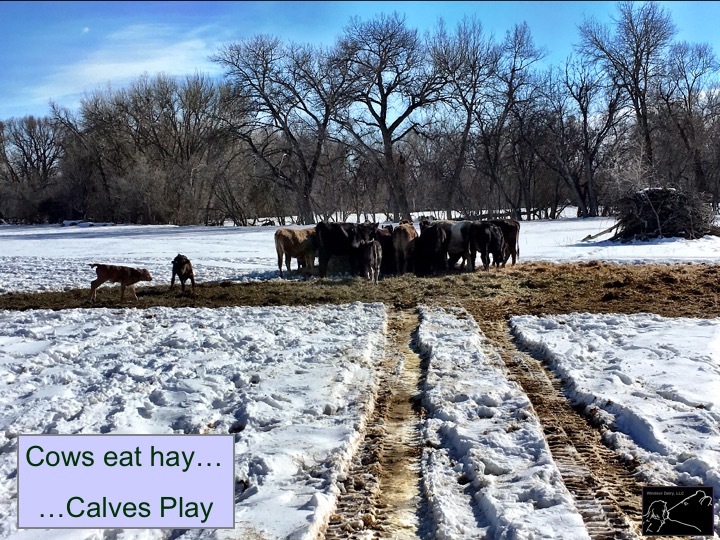 Our grass fed animals have a lot of exquisite flavor! 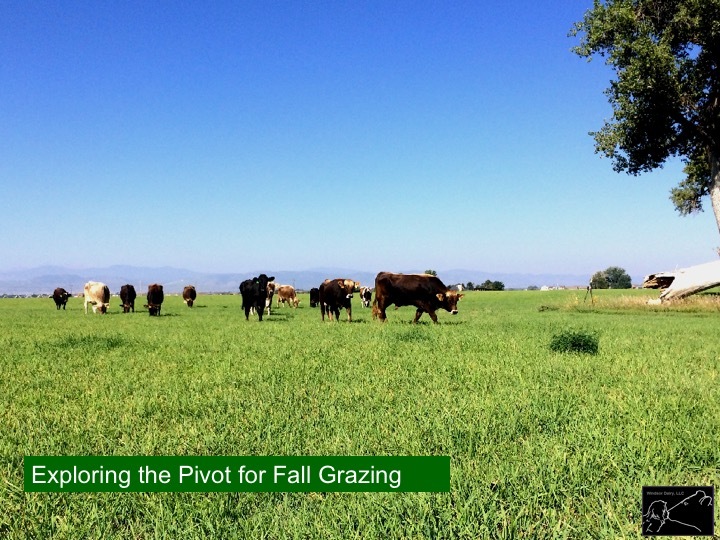 If you have never tasted 100% grass fed beef, please try some ground beef first, before you buy a quarter or half. 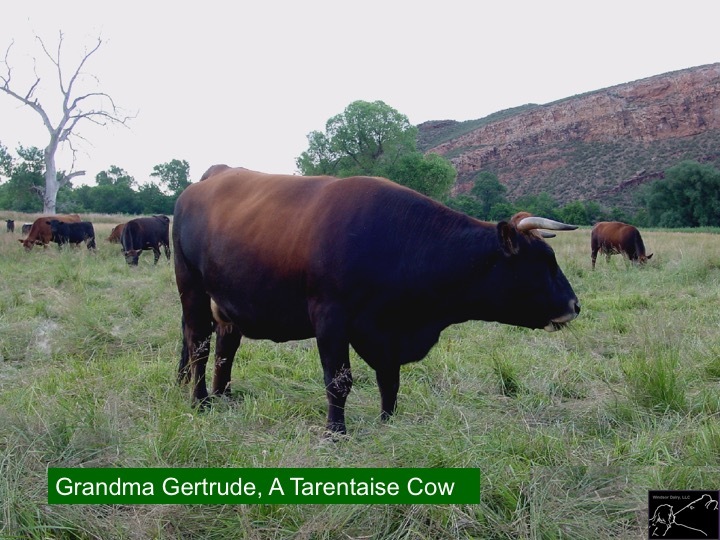 The difference between conventionally raised beef and ours will astound your taste buds! 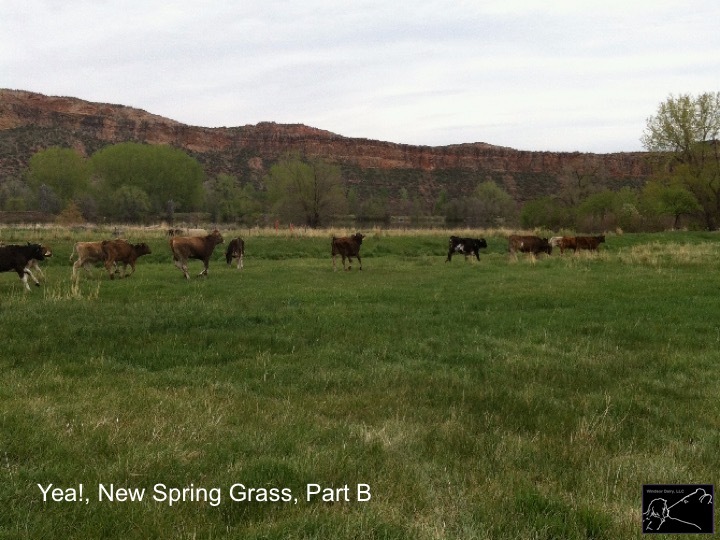 Our animals are 100% Grass-fed and graze exclusively on our owned and leased pastures. 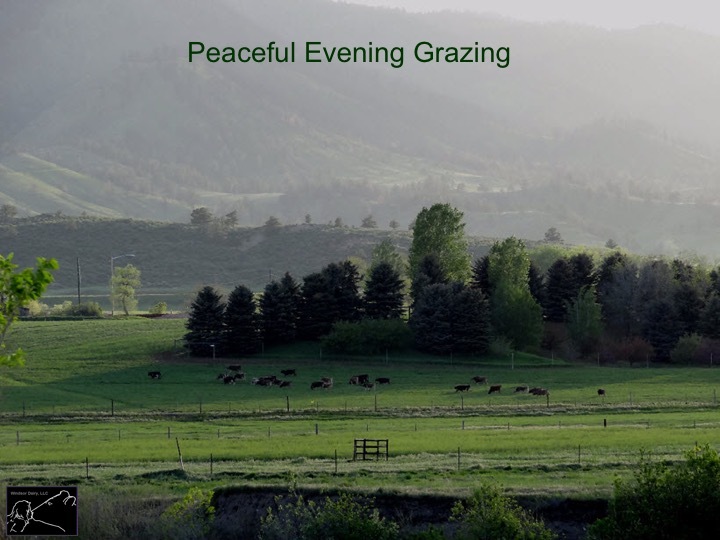 They eat grasses and forbs all year round; grazing pasture April-October, and receiving hay through the winter months. 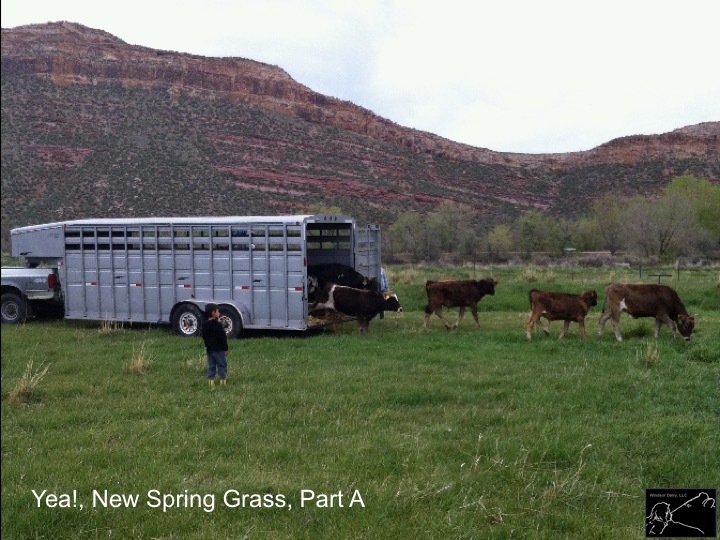 We mean it when we say 100% grass-fed: our cattle are grass started and grass finished, and never eat grain. Ever. How much does it cost? How much beef will I get? The chart below gives approximate sizes and costs of quarters, halves, and wholes. This will vary some, as each animal is different. You are charged per pound of cut, wrapped and frozen beef. Our beef comes wrapped in very durable plastic packages. The clear plastic allows viewing of the meat and provides excellent freezer shelf-life. How do I order? Do I need to pay a deposit? When do I pay? You secure your order by sending us a deposit for a whole ($500), half ($300), or quarter ($200) of beef. The deposit is non-refundable and is deducted from the final cost of your beef at pick-up time. You pay the balance upon receipt of your beef. 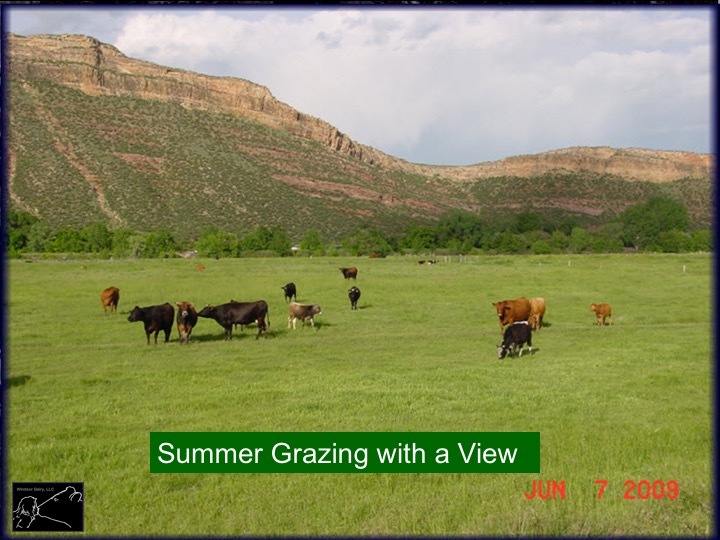 Please email or call (970-481-8314) to discuss potential wait time until your beef is ready, before you make your deposit. What cuts will I get? How many steaks/roasts/pounds of ground beef? Our standard cutting order results are below. If you purchase a whole animal, you may arrange custom cutting orders. 40-50 lbs. 13-18 lbs. 13-18 lbs. 16-22 lbs. 80-110 lbs. 26-36 lbs. 26-36 lbs. 32-44 lbs. 160-220 lbs. 52-72 lbs. 52-72 lbs. 64-88 lbs. Windsor Dairy Beef is dry-aged for ~14 days and comes to you cut and frozen in vacuum-sealed packages. Organ meats (liver, tongue, heart, kidney & ox-tail) are available for purchase separately, by request. They do not come as part of your whole, half, or quarter of beef. How and when do I get my beef? Do you deliver? We do not deliver. You must be able to pick up your beef at D and T Freezer Meats, 207 South Railroad Avenue, in Loveland, Colorado. Phone is 970-667-6747. 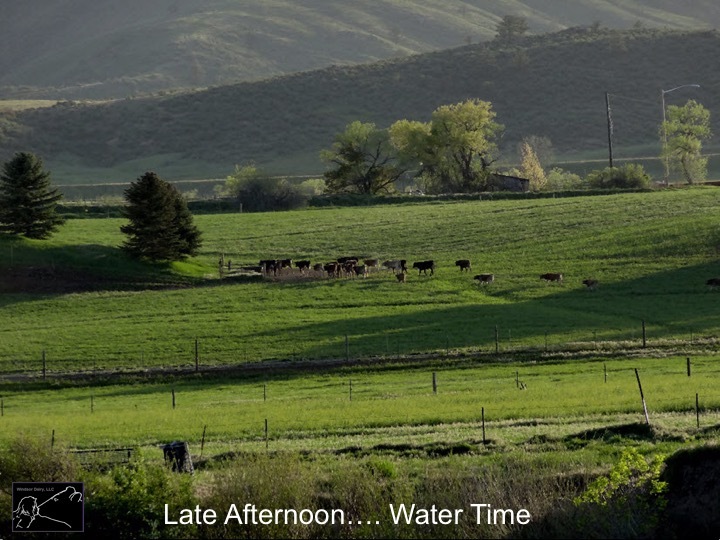 Once we receive your deposit, we will contact you to give you an estimated ready date for a beef pick-up time. When your meat is ready, we will weigh your exact quarters and contact you with your meat weight and the money due at pickup. D and T Freezer Meats is open 9 am to 5 pm M-F, and 8:30 – noon on Saturdays. Do I need to bring my own coolers/ice chests to pick-up the beef? Yes, if you are traveling more than three hours in the summer with the meat outside of an air conditioned car. Each quarter of your meat is packed densely inside two heavy cardboard boxes. One cubic foot holds approximately 25 pounds. If your cooler is measured in quarts, one cubic foot is approximately 30 quarts. One cubic foot holds approximately 25 pounds. An 8 cubic foot chest freezer will hold one half, or about 200 pounds of beef. Providers of bulk freezer beef in this country use two basic charging methods. 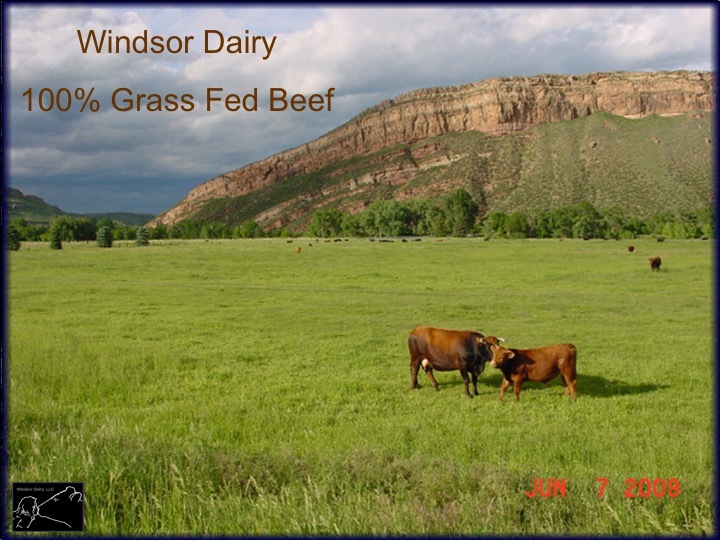 Windsor Dairy uses a cost per pound of cut, wrapped, frozen beef. The other system is to charge you a cost per pound of hanging carcass, plus the butcher’s cost of processing. This adds to the confusion when comparing prices for the beef that you put into your freezer. The table below shows the typical weights of Windsor Dairy beef animals at various stages in slaughter and processing. 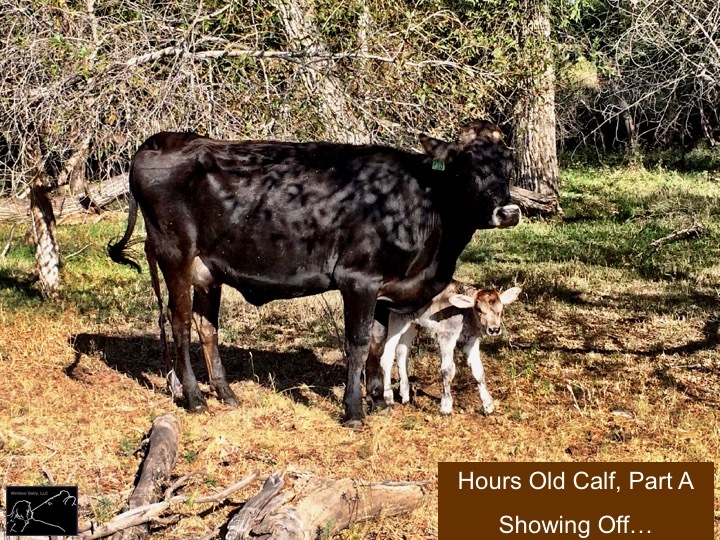 If you buy your beef by the hanging carcass weight, you will also typically pay for the butchering and processing, as a separate fee to the butcher. *Live weight is the weight of entire animal on the hoof, before killing. *Hanging weight is the weight of the hot carcass after removal of internal organs, lower legs, head, and tail. *Shrunken carcass weight is weight after dry aging of the hanging carcass in the refrigerator for 2 weeks. *Processed weight is weight of cut, wrapped and frozen meat for the freezer, after removal of bones and some fat during the cutting. Let’s use an example of a Windsor Dairy Beef quarter at $8.50/pound of cut, wrapped and frozen beef that you take home. Our average quarter weighs 100# when cut, wrapped, and frozen. You pay $ 850.00 total for your 100# of beef in our system. You can compare this cost per pound directly to beef you can buy in the grocery store. There are no other costs. If you were to buy a hanging quarter that weighs 165 pounds at $4.00/# of hanging weight, you will end up with 100 # of beef for your freezer. 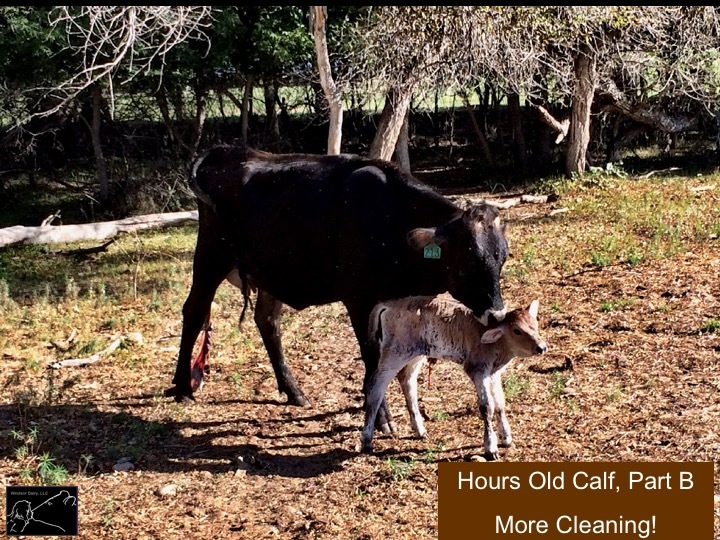 In this system you will pay $660.00 for the 165 pounds of hanging beef, plus you will pay ~$1.50 butchering and processing fees/pound of hanging beef. Your total cost is $660.00 plus $247.50, or $907.50 for the same 100# of beef to put into your freezer. Our beef quarters are a true ¼ of the whole beef carcass. If you slaughter a beef animal, you end up first with two halves. Each of these halves consists of a front quarter and a rear quarter. If you buy a front quarter, you will own approximately 55% of the half, consisting of all the cuts of beef you can obtain by dividing up the front quarter. 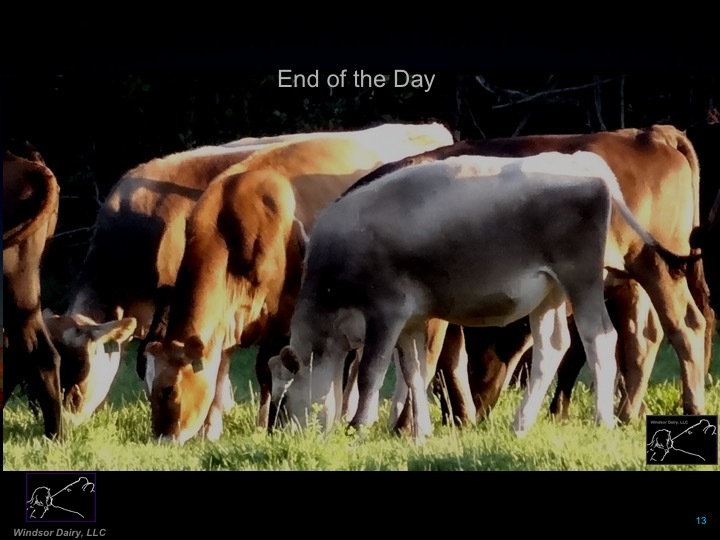 Hind quarters are about 45% of a side or half of beef. Our Windsor Dairy “quarters” are a true ¼ of the entire carcass, not just a front or rear portion of the half. Our butcher divides the whole animal into 4 equal quarters, and packages each of the quarters in separate, labeled boxes. Even if you buy a whole animal, it still comes boxed into four equal “quarters”.